Holocaust denial is an anti-Semitic conspiracy theory which claims that the well-documented destruction of six million Jews during World War II is actually a myth created by Jews to serve their own self-interested purposes. On college campuses, Holocaust denial is most often encountered in the form of advertisements submitted to student newspapers. 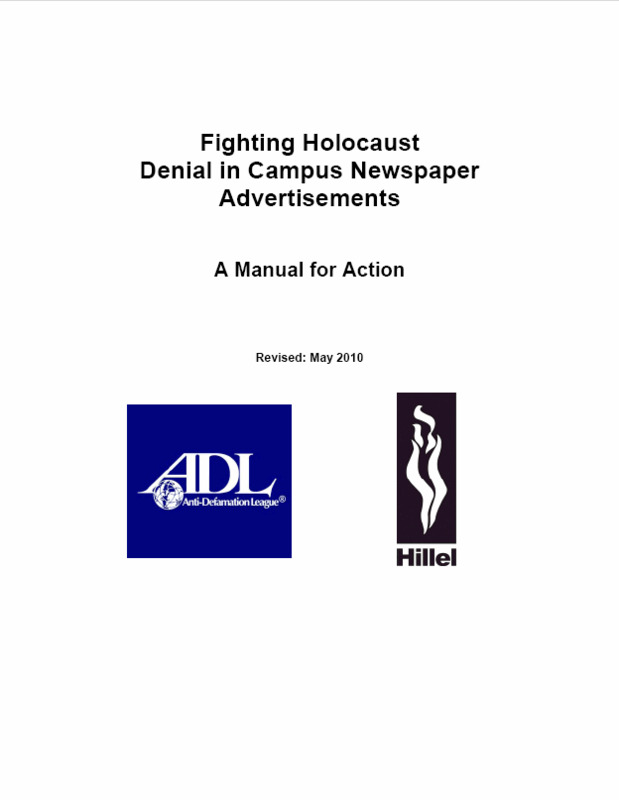 This forty page manual provides campus newspaper editors and student leaders with background and tools to address Holocaust denial advertisements and educate newspaper staff on their First Amendment rights.